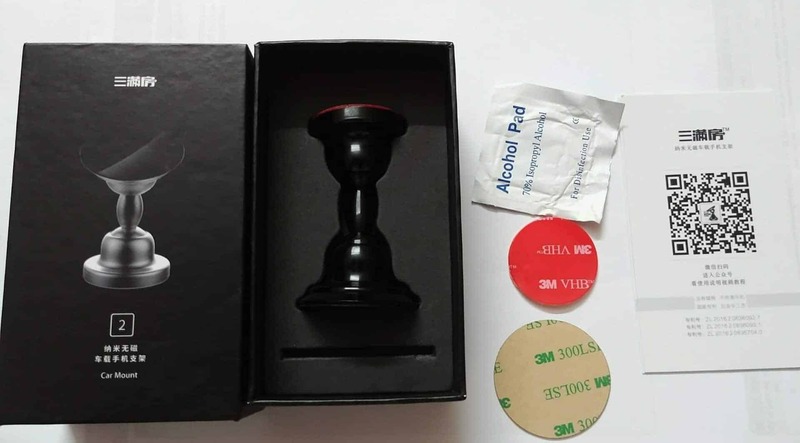 Reviews Gadget Reviews Lauco – NanoSuction Car Mount Review – Works Like a Charm! Just like our previous crowd funding gadget reviews, we’re one of the first technology & gadget blogs to do a review on Lauco; a nano suction car mount that can fit your smartphone or with the phone’s case correctly. The campaign for this car accessory is already live on IndieGoGo and received $7.5K which is 150% more than their goal. It is a positive sign showing that users are very much interested in making the project successful. To add up more, let’s take a look at its review. Before I discuss Lauco car mount, let’s take a look at the traditional car mounts and their drawbacks/disadvantages. Magnetic Car Mount: The magnet can distort the GPS, and may even damage your phone. If the phone is not metal based or comes with a case, then you’ll need an extra metal layer that’s always stuck with your phone or the case. To address these issues, the team behind Lauco came up with an impressive technology. Let’s find out the working principle. Lauco Car Mount – How NanoSuction Works? On the Lauco car mount, you can find millions of miniature suction cups. Using these small air pockets, the nano membrane generates a powerful vacuum that can withhold a considerable weighted object. 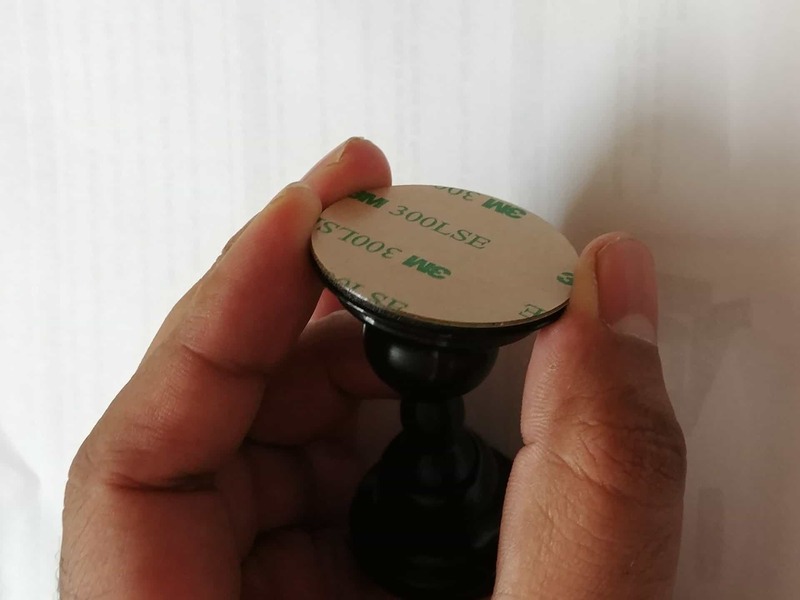 In simple terms, it has microscopic holes that aren’t visible to naked eyes and when you push it against a smooth surface, it will create a void and will hold to that surface. To remove it, a considerable amount of pressure is required to break the bond. The working principle of nano suction sounds simple, but there are several challenges. The durability is the first question that pops up in everyone’s mind. Other inquiries like how long it can withstand?, Would it be affected by the temperature? etc. needs to be addressed. To find the answers, let me share my experience using it. As usual, let’s start with Design. Comparing to existing car mounts, Lauco car mount has got a minimalistic design. 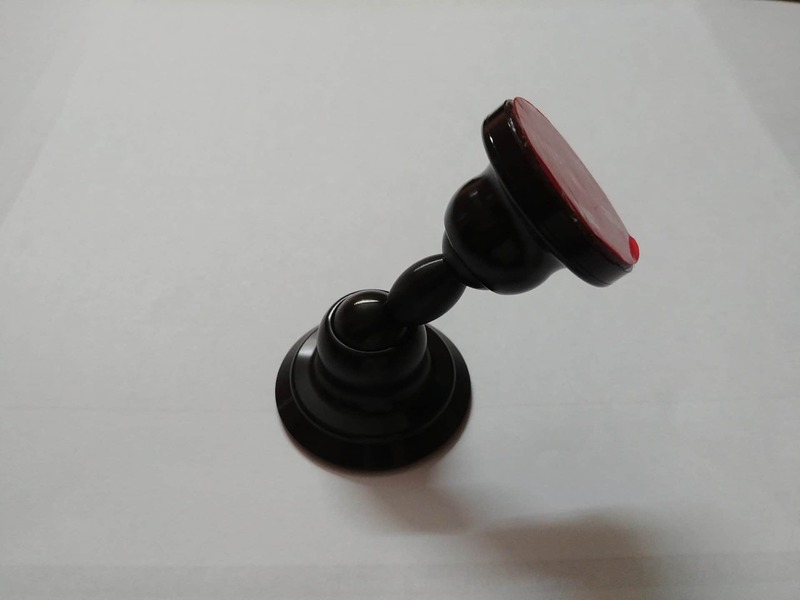 It does resemble a round rubber stamp, but the difference is it has a 720° rotation and doesn’t make even a tiny sound while rotating. 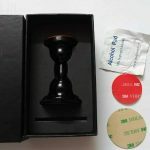 It can be placed almost everywhere in the car, even near the gearbox or door or on the dashboard. No need for any extra metal plate, or a clamp. The nano-membrane can with hold the phone or phone’s case correctly. So, no matter whether you have got a Sandstone case or Rosewood Case for your OnePlus 5 or got a silicon case for Your Mi 5, it will be protected and stuck on the mount. Here’s a variety of surfaces that are suitable for the mount. They even give a smooth stick that can be used if your phone’s case is made of leather or frosted. Now, It’s time to find out the answers. The most common question would be how long it can withstand, and would sudden brakes, turns can anyway affect the mount? Well, as for my experience, the sudden brakes, turnings haven’t made my phone fall. The nano membrane is very powerful, and it can withhold the phone until unless it’s removed manually. But the only problem is, when the nano layer is covered with dust it loses its stickiness. It caused my phone to fall. This can be easily solved by wiping the nano membrane with a wet cloth or a cellophane tape. This procedure is very convenient as we don’t need a particular solution like in other adhesive-based mounts. Temperature Impact – As you know I live in India where in some places the standard temperature will hit the average of 45° Celsius in summer. So, I tested it by putting the Lauco car mount to the front glass. I left it like that for a few days to see if it loses the viscosity. But to my surprise, there was no impact. On the campaign, they mentioned that Lauco could withstand the temperature ranging from -30° C to 70° C.
I liked the minimalistic design, and the places it can be stuck to. It’s not leaving any stains on my car’s dashboard or on the glass which I feel is the biggest advantage. There are few drawbacks I’ve mentioned about using the traditional car mounts, and it can be easily overcome by using the Lauco. To make things clear, here’re the Pros & Cons using Lauco Car mount. As far as I used, I’ve not found any major drawback, but I still doubt the durability of the nano membrane. It may lose its viscosity if we keep on removing and attaching the phone or the phone’s case. Just go with it. It’s the most convenient car mount ever produced, and that too it comes under budget. Go and order one for yourself by supporting the crowdfunding on IndieGoGo. Just go with it. It's the most convenient car mount ever produced, and that too it comes under budget. Go and order one for yourself by supporting the crowdfunding on IndieGoGo.